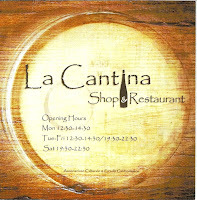 Alberto is the owner of La Cantina and he is teaching a series of courses on wine. Mark is going to these classes as part of the curriculum at the Cordon Bleu / Firenze. Alberto recently opened La Cantina in October 2007. 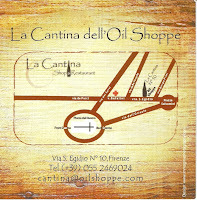 He is also the owner of the Oil Shoppe just a few doors east on the same street (which is great for lunch time panini). We left ourselves in Alberto’s hands and he picked some great things to try. A standout appetizer for me was thinly sliced, (cold) smoked goose breast with a few drops of balsamic. A stuffed rabbit with truffle was also very nice. We drank wines by the glass and again, we let Alberto pick for us (I know, lazy). Alberto speaks English well if you need him to, but Italian is so much nicer when talking about food. The restaurant is not obvious when you are walking on the street. You must past through a large door at Via S. Egido 10 and go a few steps down a hallway to come to the front door. The harder to find, the better in this case. We’ve jogged by this restaurant, Omero - outside of Florence, several times and decided that we should try it. It is located in Arcetri, across the street from the place Galileo lived out the rest of his life under house arrest by the church. (It only took the church 300 years to realize Galileo was right.) The area is called the Pian dei Giullari (“Field of Minstrels”). Some more photos. We walked from our apartment (near Ponte Vecchio) which took us about 20 minutes – we are fast walkers. This was a Sunday dinner so we booked ahead. The clientele was about 90% Italian, older, well-heeled – probably most own a nearby villa (wishful thinking). The restaurant is discussed in the Food Lover’s Guide to Florence and is accurately described as serving Tuscan favorites and that’s true. There are a number of fried items such as fried chicken, which we had for a main dish – and which doesn’t really translate to what you might think of as fried chicken in the states. The chicken is chopped into large pieces, bone and all, and fried with a very light crispy crust. We also had grilled steak sliced (“tagliata”), served with arugula. I had the crostini with cavolo nero (toasted bread, lots of olive oil, and mound of cavolo nero (black kale) on top) as a starter and Mark had pasta with cavolo nero with a cream of white bean paste. Of course a nice bottle of wine was enjoyed. The restaurant is not cheap, but for the sense of being in the country (good views), eating good food, and escaping Florence is worth it. This was our last full day in Delphi and in Greece. The weather turned out to cooperate: sun and little wind. On this day we decided to hike to the Corycian Cave. We hiked out of Delphi town to the cave and back. The stats: 6.5 hours roundtrip (9:10am to 3:30pm). We measured about 28km. There was snow, but nothing that impeded our way. Some halfway decent hiking shoes were all that was needed. To start the hike (that is picking up the E4 long distance path) we used the point near the stadium. There seems to be at least two starting points. See map image. And, the first bit of climb is some of the worse as you quickly climb out of town. (Later, the final scramble up to the cave is also tiring.) Once you get up out of the city and finish climbing what is called the “Evil Staircase” (kaka skala) you are still above the town, just high above it. This is the last view of the town as you head away from the town (north? ).The walking gets a little easier and the trail is well marked. Eventually you come to some pasture lands. A huge stone trough is the main marker. At this point you stop taking the E4 and follow the road. There will be a couple of (summer) homes and you basically follow a dirt/sometimes paved road for a while (mostly down). Note that there is a point where another road joins the road you are on. Do not take that road. Just continue down the road you are on. Eventually you come to a meadow which on its edge has a picnic area and monastery, with a place to fill up with water. Just 5 minutes more down the road and on the left is a sign which indicates the scramble up the mountain to the cave. We spent about 45 minutes exploring the cave. There is a rope that allows access up into some dark back part of the cave. We tried it but decided it was too slippery and we didn’t have the right equipment. Bring a flashlight. The Rough Guide book we used pretty accurately described the hike so we just tore that page out of the book and carried it with us. While in Nafplion we stopped this shop twice: High Fidelity. The first time we picked up Pearls Before Swine (One Nation Underground). Okay, just one of us has been lusting after this obscure 1960s album. The second time, we asked the guy to unleash something Greek and interesting at us. 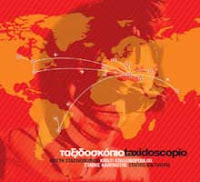 He gave us: Taxidoscopio, Sokratis Malamas / Dromoi, and Nana Mouskouri Sings Hadjidakis Vol.2. 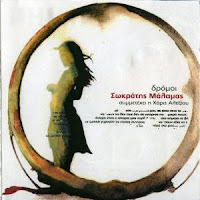 First, I was amazed Windows Media found these albums and put the songs titles and album metadata in Greek. Sometimes I have so little faith in Windows Media to do the right thing. Second, who is “Hadjidakis”? Well, an important Greek composer, Manas Hadjidakis. Didn’t know that. Hadjidakis won the Academy Award for Best Song (1960) for Never on Sunday from the movie of the same title. So far, I think the Taxidoscopio is the most played of these albums. 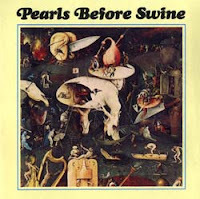 If you can stand it, here is the song Another Time from Pearls Before Swine. So if in Nafplion, stop by and visit this record store. The Delphi Archaeological Site and Museum was as spectacular as we hoped it would be. The setting is excellent, extending over a series of terraces in the foothills of Mount Parnassus. The history - being the center for the Oracle of Delphi - is fascinating (politically, culturally, etc.). The museum was recently renovated and is a must see. We spend 5-6 hours seeing it all – but as I’ve said before we are slow and read lots of labels. Suggested order, is the logical order: 1) museum, 2) Sacred Precinct (the main site), 3) the Castalian Spring, 4), the gymnasium, and finally the 5) Marmaria. The Castalian Spring is closed off so you can’t see a whole lot, but you pass by it on the way to the gymnasium. To get from number 1 and 2 to 3, 4 and 5 you walk down the main road toward the east and with a few hundred feet come to other sites. In Greece, the first two items on the list were common: smoking and overly formal service to the point of being cold, let's say 'sooty and snooty'. Once in awhile we were treated to the TV on as well. One night, we saw the hostess running around bumming cigarettes from diners. Another night in a restaurant in Nafplion some singers came in, one of which had two packs of cigarettes. By the time we got up to leave he had already sucked down one pack. - eat at a café which tends to be bigger, more spread out, and typically has lots of outdoor seating with heating, but limited, and less interesting menus. - go to restaurants that only deal with tourist groups, boring but less likely to have smokers. Okay, none of these suggestions sound that great, but it’s the price you pay to see the country. And to be honest, we ate wherever we thought we would get a good honest meal. Smoke be damned. Oh, and while smokey, the service in the two restaurants we tried on the island of Hydra was totally charismatic and vivacious. We were a little worried about the trip to Delphi and spending two full days there. We figured one day to visit the archaeological site and one day for a hike. And that’s largely what we did. In all honesty, we probably could have spent a third day exploring some towns and/or taking another hike. The modern town of Delphi is within 5 minutes walking distance from the archaeological site so it is a logical place to stay. Every guidebook rags on Delphi because it is modern and without “charm”. To tell you the truth I’ve seen older towns that looked worse, more modern and with less charm, so I think people over-emphasize this point. It’s a good base especially if you don’t want to drive. We basically parked the car for the two days. If you want to spend time exploring a town and all its charm, choose the village of Aráhova 11km to the east on the main road. The only map I could find of the region in local stores is the one shown above. It’s relatively decent if not strangely hard to read. The colors are all funky. For our three nights in Delphi we stayed at Hotel Orfeas. It was reasonably priced (I think we paid less for all three nights then we did for one meal in Athens), but then again it was fairly no frills. Oh, and there wasn’t very many hotels open it seemed. We had a good view looking south down to the coast, but, we were the only people in the hotel, so maybe it wasn’t so hard to snag? We reviewed five rooms before we chose the room - something we never do, but for some reason we did it there – we were really scoping out the best beds. They never came in to change towels, or make beds. In a way, for three days, we didn’t care. We sleep in sheets and use towels longer than three days. The fact they didn’t change them may indicate that they are used to folks just staying for one night. Delphi is really listed in all guidebooks as a “one-nighter” which I think is a bit unfair. When we checked into our hotel the guy seemed incredulous that we would stay THREE nights. He kept asking us: "Three nights?" There is no shortage of restaurants in Nafplion. On the weekend, even in winter, the more popular ones can get quite busy as Athenians take a break from the city and relax in Nafplion – only a few hours’ drive away. In general, we didn’t have bad food, but we didn’t have really good food either. Okay, we are coming from Italy where there is lots of information about all types of restaurants and you can find guides that best fit your tastes. This was not the case here in Greece for us, at least this time. We didn't have much luck searching online and found that suggestions from our guidebooks (Rough, National Geographic, Eyewitness) were not that helpful. Okay food and service which was annoyingly polite. Maybe we don’t fit the average tourist profile, but we don’t need English spoken all the time to us. Also, we are paying a lot of money for food and experience, so the wait staff can at least understand their role in this experience. An Italian-esque restaurant. Good service, nice plate presentations, good flavors, nice atmosphere. Adequate Greek food – most typical dishes served. Not super-inspired. Singing on selected nights. This is a family-run, small restaurant in the “upper part” of town – up the hill from the port. The part of town near the water tends to have the more hip restaurants. This taverna was one of the friendlier places we had been. Again, a fairly standard menu. A funny thing is that this is the first place that actually had baklava on the menu (go figure) and I ordered it. They had to go down the street to get it at a pastry shop. This restaurant was packed on Saturday night, but empty the next night. We probably liked this restaurant the best food-wise, but again service average. By the way, the only place I saw my favorite Greek dish, avgolemono soup, was at the airport when we were leaving Greece. Odd. Mycenae is an incredible site. The ruins are great, the setting is spectacular, and the museum was excellent. A single ticket gets you into everything including the treasury of Atreus which is down the road just a little bit (you can walk or drive). We spent just under 3 hours seeing everything. Near the cistern in the main site, there are steps that bring you down to what was a secret well, created by the Mycenae to help withstand a long siege. 99 steps descend through the 'Cyclops' wall. It’s pitch black, so bring a flashlight. Also, there are at least two metal supports holding up the ceiling located dead center of the stairs, so be careful. We made it all the way down and it ends in a dry floor. Perhaps they covered it over for safety. The Acrocorinth was a pleasant surprise to us. We stopped there first because it was first site you come to driving from Nafplion. We spent a few hours exploring and then headed over to Ancient Corinth which is further north and lower in the valley. Seeing both sites in one day is a complete day. Plan to spend 2+ hours at each site, plus travel time between them. Ancient Corinth is similar to several of the sites we had seen already: an archaeological site and museum (another nice one here). You pay to get in. Acrocorinth is a different beast. It’s free to get in, but there isn’t any signage to provide context on what you are looking at and the site is quite large and hilly. However, if the weather is nice and you want to just wander around puzzling out what this was or that was, plus, get some great views, then this is the place for you. We found some pottery shards which later we could confirm were from about 1100 A.D.
We stayed at Amfitriti (αμφιτρίτη) during our five nights in Nafplion. Παραδοσιακός ξενώνας – means Paradosiakos Zenonas – which means (going out on a limb here) – a welcoming place for travelers. Zenonas is a traveller. Enough of this picky language stuff - the hotel was great. The owners (2 sisters we think) were helpful and gracious. The breakfast was wonderful and the afternoon coffee and snack very welcome. There is the hotel Amfitriti and the pension Amfitriti nearby. We stayed in the hotel which a few more flights of stairs up the side of the mountain. Regardless of where you stay, climb to the terrace on top of the hotel for a nice view. (The hotel, by the way, is all blue on the outside, you can’t miss it.) I took a look at the rooms in the pension (which were empty for a week of renovations) and they looked nice. I think the hotel is named after Amphitrite, a sea-goddess. Check out their TripAdvisor profile. We took the 11:00am catamaran (Hellenic Seaways) from Hydra to Hermioni. It took about 20 minutes. We picked up our rental car at Pops Rental (we were very satisfied with this rental agency) and headed to Epidaurus. Epidaurus was a celebrated healing center in Classical times. The demigod Asklepios, the son of Apollo, is closely associated to Epidaurus. An asclepieion is a healing temple. The theater at Epidaurus is one of the best preserved. Usually old theaters disappear as generations pilfer material to build other things. We’ve heard different reasons why the theater of Epidaurus was not pilfered like it was completely buried so no one could get to it and that it was too far away for anyone want to go and get materials from. Who knows? The theater is also known for its spectacular acoustics which of course we had to try. We only ate at two restaurants (tavernas – TABEPNA) for dinner while in Hydra: ZEΦYPOS (see business card) and Osteria (sorry lost this business card). Both were hosted by entertaining ladies – full of energy and concern about how we liked our meal. At ZEΦYPOS there are items already made (like casseroles) that you can get or you can ask for something else to be cooked. At Osteria, all items are made to order. AND, the thing we learned is to ask what they have and what’s good. We encountered many times that menus have a lot more on them that they have on hand. There were a number of cafes (different than tavernas in that they don’t really serve a full dinner) open and some other tavernas, but we alternated between these two and were happy (as it seemed that the locals do because we were on the same restaurant schedule with some of them). There is also a little souvlaki place across the street from ZEΦYPOS that we were happy with for lunch. For hiking on Hydra we took inspiration from this link as to what was possible. We found the instructions a bit too detailed but did use them just for overall guidance, following our instincts instead on decisions about what paths to take. Hike 1. Up to Monastery Profiti Ilia (Μ. ΠΡΟΦ ΗΛΙΑ) – minor hike. This was a late afternoon hike of about 4 hours so we didn’t push beyond the Monastery. It’s a tough little climb but you are awarded with some great views of the harbor. The two monks there have refreshments, but it’s a nice touch to bring a little gift like some sweets. We found the instructions in the “link” above confusing and started from the cemetery and still found our way. Hike 2. East to Moni Zourva (ΜΟΝΗ ΖΟΥΡΒΑ), though we never visited the monastery. It’s just shy of the east tip of the island. Instead, we went down to the small bay nearby for a swim (okay ½ of us). There is something like 650+ steps down and it’s not exactly a beach but you get into the water. You can take a water taxi (25 Euros) and walk back to town. This roundtrip hike took us 7 hours including a stop for lunch and swimming. Hike 3. West to near Bisti (ΜΠΙΣΤΙ) where we were pretty close to the end of island. We ended up on a hill at the end of the island with a 300 degree view. There were some ruins there but don’t know the exact name of it. The path was fairly well used so we weren’t breaking new ground. This roundtrip hike took us 8 hours. The fourth day on Hydra, we explored more nooks and crannies of the town and went to the Hydra history museum. Hotel Phaedra - we enjoyed this friendly, small hotel (really more of a B&B). The owner, Hilda, was fun to talk to and full of useful information. The room was great, the breakfast good, and location perfect - up from the harbor a few steps in a quiet location. Well, really all of Hydra is quiet because of the absence of motorized vehicles – donkey hooves clacking along the cobblestone street just doesn’t constitute as noise – to our ears. Check out her profile on TripAdvisor. We both woke at 5 am unable to sleep in our Athens’ hotel and decided to go for the 8am hydrofoil (Hellenic Seaways) to Hydra. What a welcome relief to pull into Hydra’s harbor around 10am and leave the noise of Athens behind. We checked into our hotel and then had most of the day for exploring. There is only one map that we could find and is the defacto “island” map and is shown below. It has a pretty good layout of the towns (not many) and roads (not many) on the island. It doesn’t really give the hiking trails, but it’s a small island, you can’t get too lost, can you? 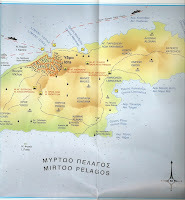 One side of the map is the whole island (detail shown below) and the other side is the main town, Hydra. The map can be bought at any of the shops along the harbor. Besides the countless Web sites we used, we used three books when planning the trip to Greece. The are: The Rough Guide Greece, 11th Edition, The Eyewitness Guide – Athens & Mainland (2007 edition), and Le Guide Traveler di National Geographic Grecia (in Italian). We took all three with us on the trip. The Rough Guide pros: good background information on culture and history and good detail on complicated hikes. The Rough Guide cons: restaurants seemed geared to low end – in other words we didn’t like the restaurant choices and some of the hours listed for archaeological sites were not correct (especially the winter hours). The Eyewitness Guide pros: nice glossy visuals, especially visualizations of ancient ruins. The Eyewitness Guide cons: scanty information on hikes. The National Geographic Grecia pros: pleasant Italian prose of only a handful of places to visit (sometimes less is more). If we had to take just one book, I guess we would take the Rough Guide. We were largely constrained in choice by what we could find in local bookstores so we did not review all guides. We were a little bewildered when Mark held up Starcase Sandy for a photo in front of the Parthenon and got a whistle blown at him by a guard. It turns out you can’t hold up an icon (like this doll) in front of a monument – even if for educational reasons. It was explained to us as disrespectful. It was a head scratcher for us. We never once read this rule anywhere or heard about it. Interesting. I doubt most of our 3.5 readers will be carrying a paper doll anyways so it may not matter. Maybe we were censored for good reason: transporting a paper doll over international borders is just plain odd isn’t it? We had about 2 hours in the museum before it closed mid-afternoon. (In general, winter hours of many sites and museums seem to be 8:30 to 3:00 approximately. So getting up early is definitely useful.) You can take a taxi or the subway from the Acropolis to this museum. We walked and it took about 20 minutes. It’s good to review your kouros from kore and your chitons from your himations before you go. Cameras with no flash were allowed.